Dudley Caving Club: Photography beyond the sumps......gotta get there first! Photography beyond the sumps......gotta get there first! 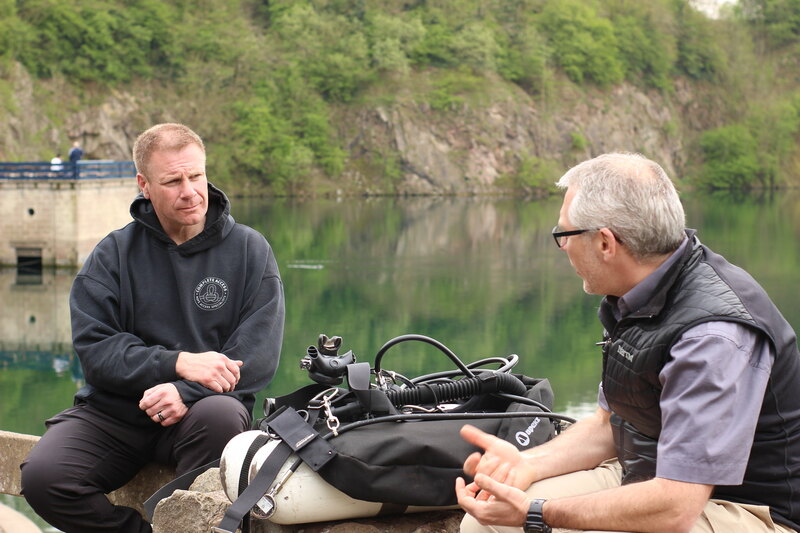 In 2004, whilst on holiday I took my PADI open water and advanced qualifications and haven’t dived since. I wasn’t what you would call a natural in the water and the training didn’t exactly leave me feeling confident in my abilities, and so, although a nice experience, I figured it was probably not for me. Fast forward several years and I get a phone call from an enthusiastic Christine Grosart whom I had met at Eurospeleo 2016 and had been underground with a sum total of once. 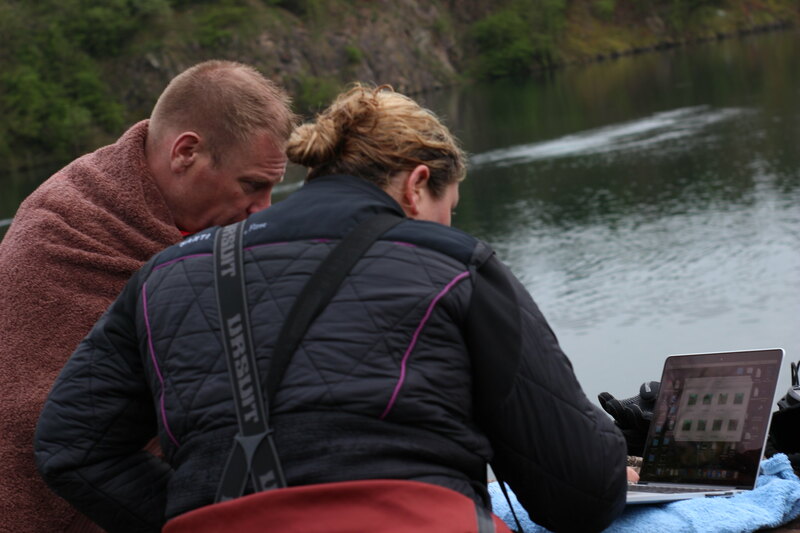 After a quick round of pleasantries she dove in telling me she had a cave project in Croatia called Licanke, that a team had been the previous year and this time they wanted someone to come along to help with stills and video. I explained the photography would be no problem, but video would be all new to me and whilst I was happy to give it a go, I couldn’t promise what we would wind up with. I had a flick through the diary at the dates she had proposed and pretty much agreed that I’d be available. I spat out my tea in my lap, and laughed nervously and then realised she was serious. For the life of me, I have no idea why I went and agreed, but that is exactly what I did. We would have 3 months to see if I could be turned from an underwater version of Bambi to someone who wouldn’t be a liability to himself and the team. This had all happened just before I was due to head off to Meghalaya and so I put it to the back of my mind and headed off for a month. I had been back less than a week when I got a message that the first thing we would need to do is see if the CDG would agree to me joining as a member specifically for this project. I would be diving a back mount twinset, the same as the rest of the team, and so would train in this configuration. At the CDG meeting everyone was most welcoming and agreed to my membership with the caveat that Christine took responsibility of me as my mentor. What have the CDG let themselves in for! Our first couple of training sessions would be in a pool in Bristol. This would mean driving down from the Midlands after work to meet up for the evening pool session at 8pm and typically getting back in the early hours as the M5 was going through night time closures for road works. I have to say I think I really did look the part in my shorts, t-shirt and wellies; certainly it seemed to impress the other ‘try dive’ students who all seemed to be pointing at me admiringly! It was immediately obvious to Christine just what she had taken on as I coughed and spluttered my way around the pool with all the finesse of a hippo! With these important basics covered it was time to move on to something more serious. 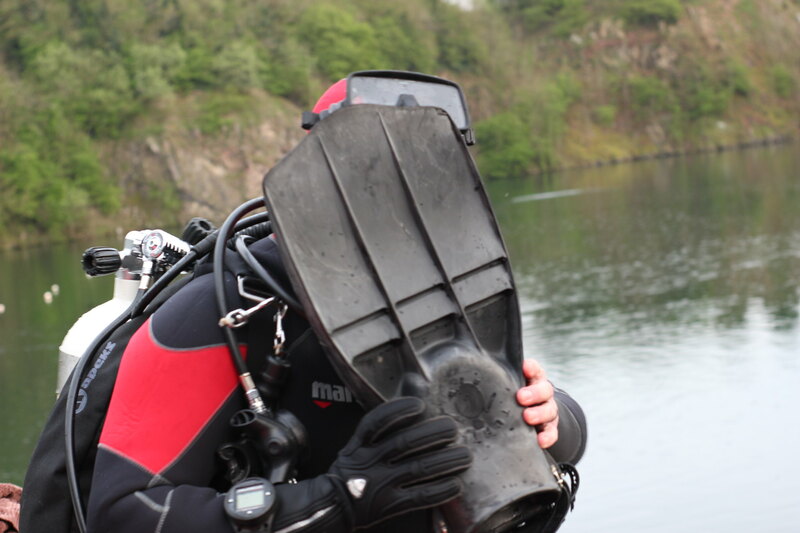 We then progressed to quarry diving in Vobster Quay and Stoney Cove. 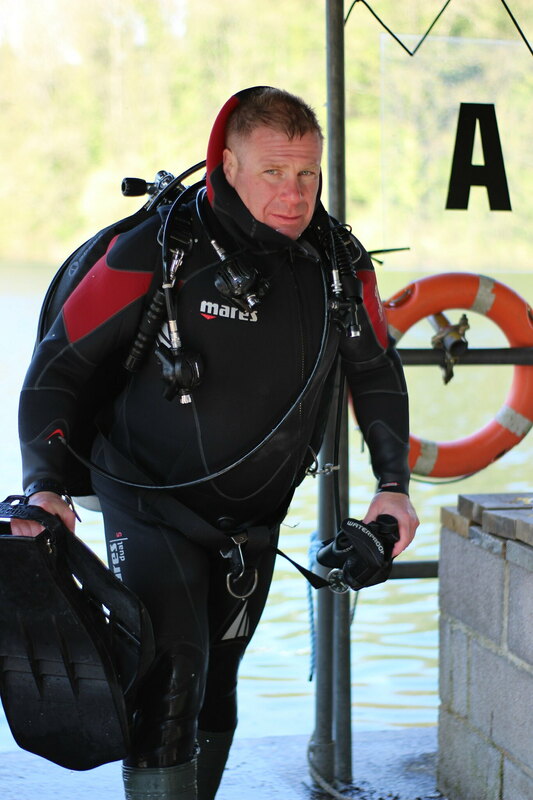 Apeks Dive equipment had kindly offered to sponsor me all the dive kit and so I was even beginning to look a little more the part. Under advisement I had purchased a 5mm semidry, which isn’t dry at all, but a two-piece wetsuit. I didn’t really notice the cold as we submerged - I was far too nervous. This would be the first time I had properly dived in over a decade. I had been briefed and practiced on the surface the drills we would be performing and Christine would demo what she wanted first and then I would try to replicate. I would be so engrossed in the lessons I often didn’t even notice the cold until I surfaced with a blue tinge to my skin and lips, and so it would repeat. 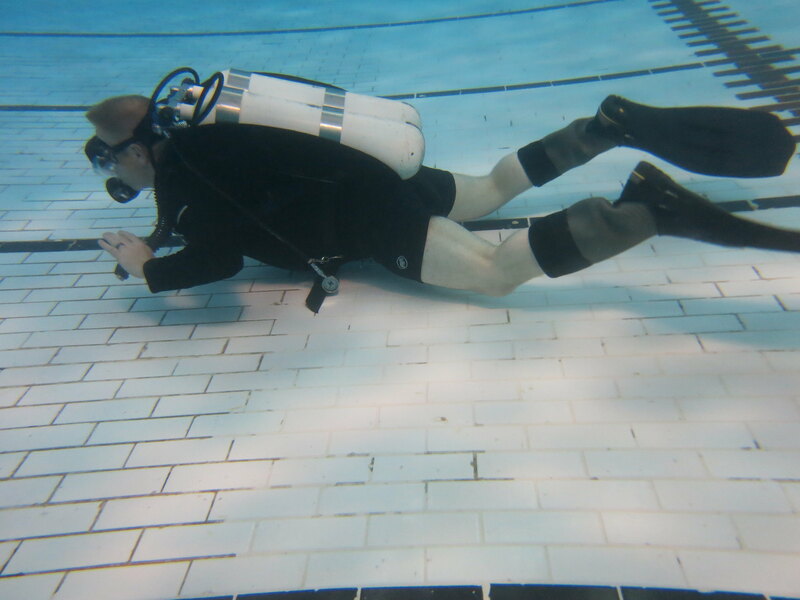 Video was shot so I could get feedback between dives and slowly over the sessions I begun to feel I was progressing. As things slowly begun to drop into place the quarry sessions would become more complex to include: following line reels blindfolded to simulate zero visibility, then lost line searches then gas failures. The itinerary was full on and hard work, but I found the more I was taught the more comfortable I was becoming in the water. After a couple of evenings in the pool and several weekends in the quarries practicing drills, skills and overhead environments, Christine declared me ready…well she kinda had to. We were out of time!